The E block refurbishment completed by Waller Building Services has given the building a complete make over. The transformation at Sittingbourne Community College included many areas. Internally this incorporated new flooring, suspended ceilings, new wall linings and complete decoration. New grey aluminium, double glazed windows were installed with matching grey infill panels. 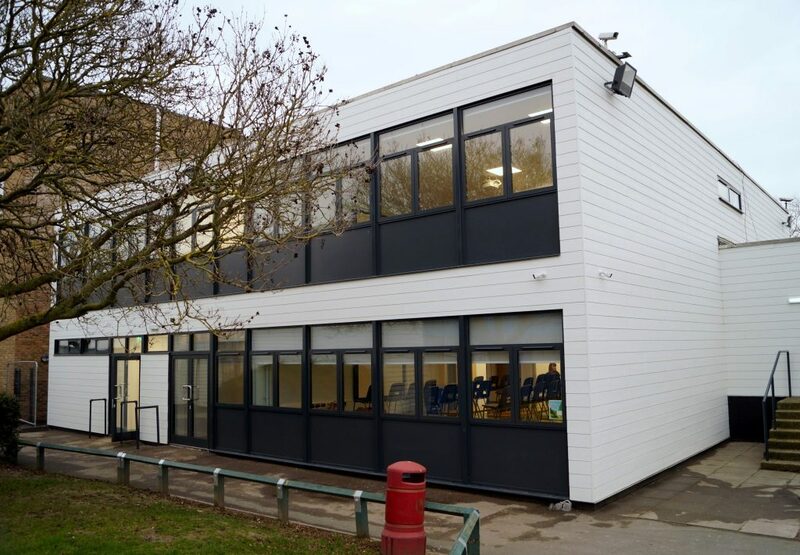 The look was completed with white composite cladding which gives the effect of a new build. The school is extremely pleased with the end result and believe that the project has provided better results than they could have originally imagined. We carry out works from window and hinge repairs through to complete aluminium and uPVC window and door installations. Please take a look around our website for more information.